So I’ve been neglecting Black History Month all month, mostly due to a busy time in school. Now that it’s almost over though, let’s try to knock a couple out at least! 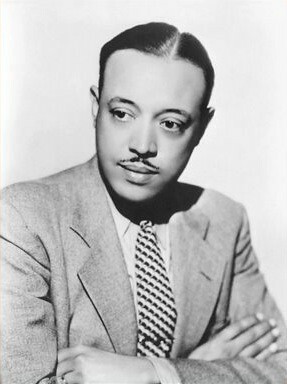 William Grant Still (1895-1978) was an African-American composer with a whole slew of firsts for black composers; for our interests, he was the first to have an opera performed by a major American company (that was NYCO, back in 1949) and the first to have one of his operas televised (albeit posthumously). I was sniffing around for his work online and sadly there isn’t much to be found, but there is a full recording of his last opera, Highway 1, from 1962 available on Spotify… Apparently this is his only opera that’s been recorded. Baritone Dorian Hall performs an aria from it above. For more information on Still, here is a great source for sheet music of much of his work and the most extensive bio I found, on AfriClassical. One site says that his work is undergoing a revival, so let’s hope that extends to his operas soon! Glad to be going back to the now itinerant New York City Opera after missing them last season. Ever since this season was announced, I’ve been pumped for The Turn of the Screw by Benjamin Britten and I’m glad to see some positive press from the NY Times and fellow bloggers at Parterre (which has some especially good background on the opera, the inspiring story by Henry James, and the cultural contexts each were created in). As an opera nerd, the time of year when opera companies start announcing their next season is always something I look forward to. The Met put this mysterious collage up on their home page announcing their announcement of their 2013/2014 season, which goes up on their homepage tonight!!! So grab the popcorn and enjoy the show, folks! PBS‘s Great Performances is showing the Metropolitan Opera‘s production of Verdi‘s penultimate opera, Otello tonight at 8:30 in New York, with a repeat screening Sunday at 12:30. Nationwide, it’ll be screened Sunday at noon.